Yoga Therapy is a deeply relaxing method of relieving chronic stress and pain in order to bring about a sense of connection and balance in the body. Gentle, supported yoga postures are combined with a simple yogic breathing technique to unwind tight muscles and promote a feeling of relaxation and wellbeing. No experience is necessary to participate. Yoga Therapy is appropriate for people of all shapes, sizes, and abilities. 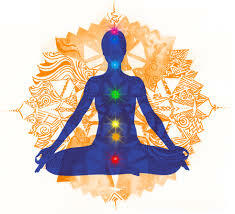 While laying fully clothed on a massage table, your body is slowly guided into supported yoga postures. Muscles are stretched and tension is released using gentle traction and light pressure. You will be coached through a simple yogic breathing technique to release even more stress in your body. Many people fall asleep on the table during a session! Sessions are $75/hour payable in cash/check/credit card. Click here to schedule your appointment.